IAEA head says the agency has had limited progress in its inquiry into possible military dimensions of Iran's nuclear activities. The UN atomic watchdog has had limited progress in its inquiry into possible military dimensions of Iran's nuclear activities, the agency's chief said on Monday, according to Reuters. The comments come days ahead of an approaching deadline for a framework deal between Iran and world powers over Tehran’s nuclear program. The International Atomic Energy Agency (IAEA) has a long-standing inquiry into some aspects of Iran's nuclear program, including allegations that Iran engaged in work that could be used to develop nuclear bombs. This inquiry runs parallel to Tehran's talks with six world powers to curb its nuclear work in exchange for lifting economic sanctions. Iran agreed a year ago, as part of an interim deal with world powers, to work with the IAEA but, like previous probes, the investigation quickly stalled over Tehran’s insistence that it never wanted or worked on such weapons. Last month, the IAEA reported little progress in its attempts to probe allegations that Iran worked on nuclear arms. The agency already indicated back in November that Iran is refusing to answer questions on the military aspects of its program. 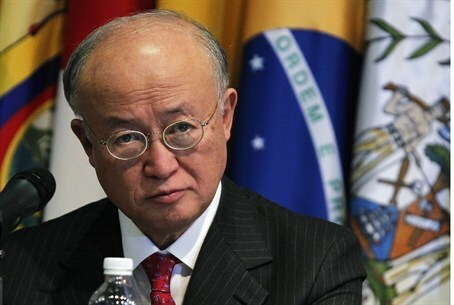 "As far as the implementation of the comprehensive safeguards agreement, we have some good cooperation with Iran," said Yukiya Amano, director general of the IAEA, at a conference in Washington hosted on Monday, according to Reuters. "We are also implementing the Joint Plan of Action and we can also say the implementation is good," he said. "With respect to the clarification of issues with possible military dimensions, the progress is limited and this is the area where more ... cooperation from Iran is needed," Amano admitted. Part of the IAEA's investigation aims at establishing whether any nuclear material, such as uranium products, have been diverted from peaceful purposes such as power generation to military means, such as a nuclear bomb. Amano said the agency still was not able to determine whether all nuclear material in Iran was being used for peaceful purposes, according to the report. Negotiators from Iran and the world powers reached a deadlock in talks in Switzerland last week, and were due to resume negotiations this week in hopes of meeting a deadline to reach a political framework agreement by the end of this month.